To fulfill HAIS certification standards, two staircase canopies and a second floor breezeway canopy were introduced. 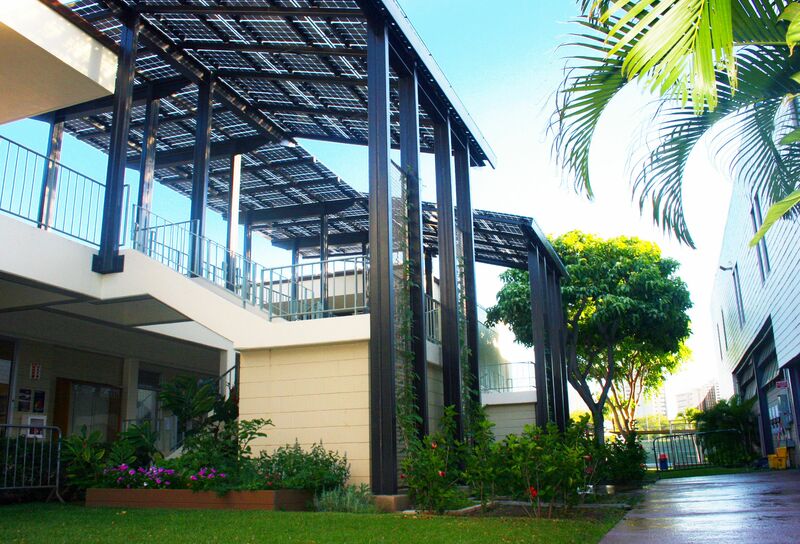 Beyond the functional aspects of weather protection, the canopies incorporate sustainable features. 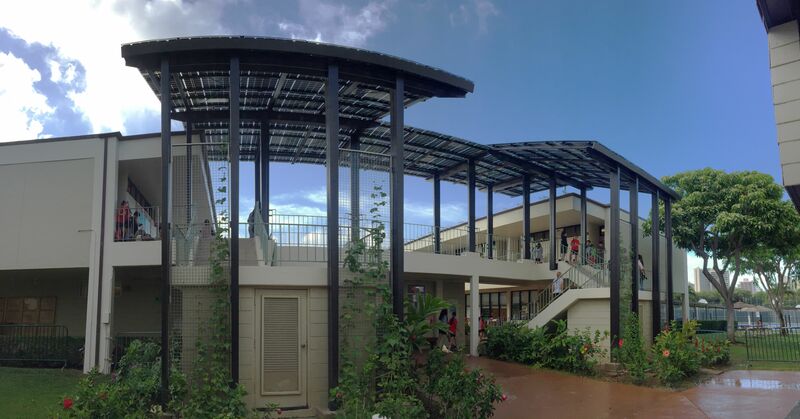 They are composed of PV panels for energy generation, canopy rainwater runoff is collected and stored beside the staircases to water the adjacent landscaping and green screens, and they serve to educate students about sustainability.